← The Horror Show: Splash! 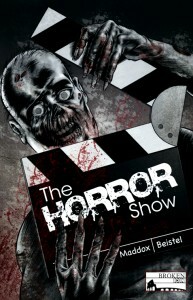 Now Available: The Horror Show! The Horror Show—written by me and illustrated by Todd Beistel—is now available for FREE digital download at Broken Icon Comics! Check out the coolest original short story, complete with terror, humor, thrills, twists and gore galore! CLICK HERE or visit the BIC store to get your e-copy now! We’re also going to have print copies available starting with the Lexington Comic & Toy Convention! Stop by, say hello, grab yourself a copy or two. Until then, grab a free copy of THS digitally, and while you’re at it, check out other BIC titles, including my graphic novel Nightmare Unknown.